Our feet carry us, literally, through life, constantly bearing our weight and taking us where we need or want to go. Forced into shoes and only allowed to breathe in freedom at night, the modern-day foot does not have an easy life. 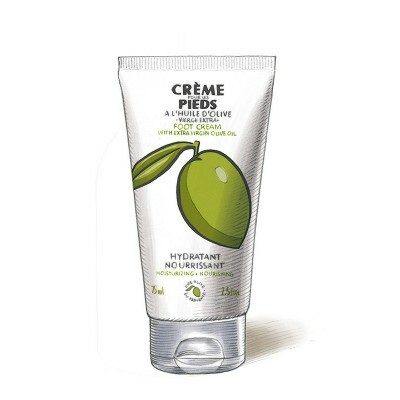 Une Olive en Provence foot cream is full of natural active ingredients to help counter this. 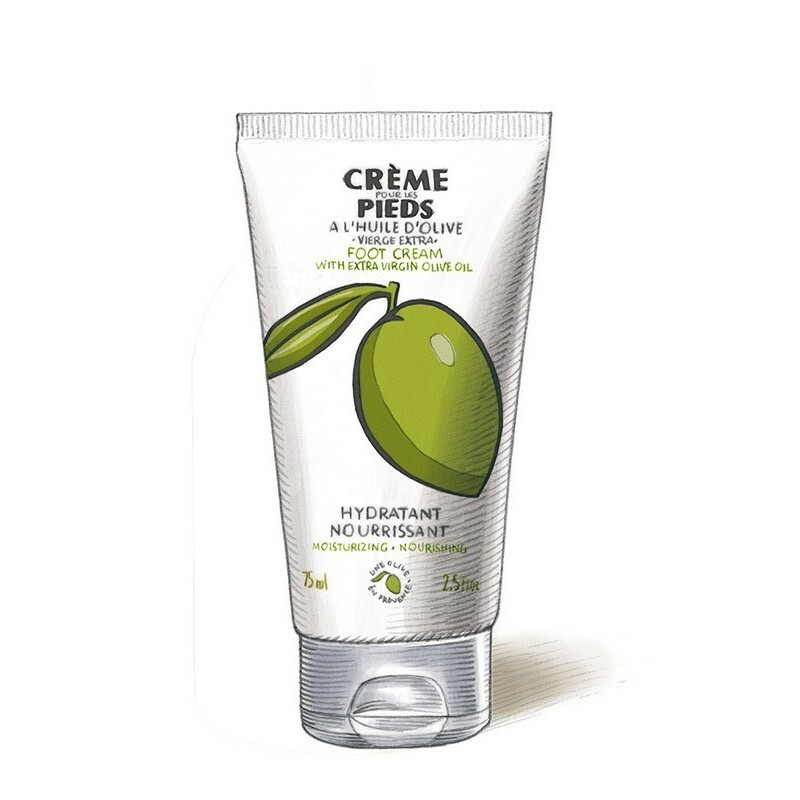 Its formula is rich in plants with disinfecting, soothing, anti-bacterial, anti-inflammatory, healing, nourishing and refreshing properties. Fresh mint crystals tone and stimulate; Butcher’s broom, red vine and arnica extracts improve circulation; thyme, rosemary and sage are active disinfectants; and rice powder takes care of excessive humidity. Massage morning and/or evening into clean and dry feet. Massage firmly from the toes towards the ankle then reverse the movement with reduced pressure. The foot, and especially the sole is filled with nerve endings related to our vital centres. Gently massaging this sensitive area gives instant stimulation and, with practise, one can learn to apply specific local pressures to relieve or stimulate.